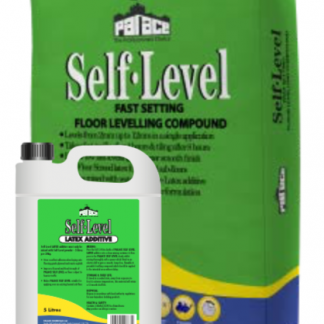 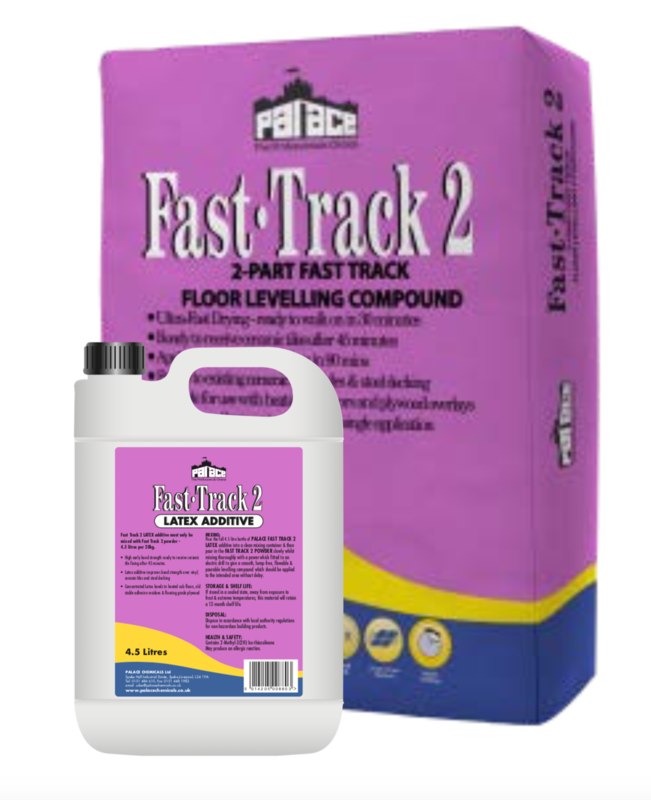 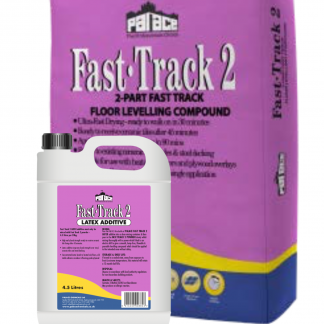 PALACE FAST-TRACK 2 is a 2-Part (bag & bottle) floor leveller that offers the flooring professional the ideal solution for overcoming time limited projects, where a fast-track approach at all stages of floor levelling is essential to achieving the perfect finished flooring result. 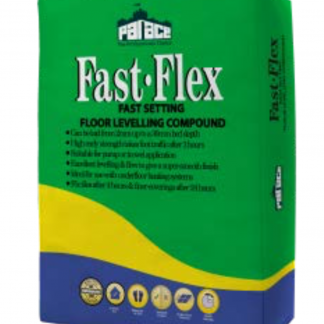 Ceramic tiles can be applied within 1 hour whilst decorative (vinyl / carpet / laminate) floor coverings can be applied to internal subfloors in as little as 90 minutes whilst resin coatings should be allowed 24 hours curing before being laid. 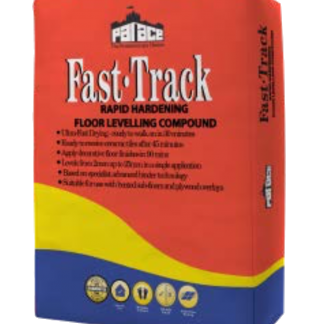 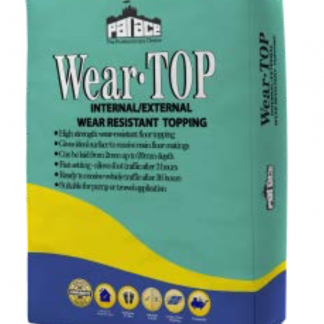 Suitable for use with heated sub- floors and plywood overlay.